Asda has moved quick to announce itself as the UK's cheapest retailer of the forthcoming new Nintendo 3DS, due for release in the UK 25 March. Nintendo revealed its plans for the new handheld earlier this month at a press event in Amsterdam, announcing the games and applications planned to arrive alongside the console at launch this March. There was some grumbling from UK games hacks following Nintendo's 3DS announcements, as it seemed that the retail launch price for British gamers would fall somewhere within the £220 to £230 price bracket. Following this, Asda has taken the PR initiative to push a special offer on its website of a Nintendo 3DS at a (relatively) bargain-bucket price of £202, with the additional offer of any 3DS launch game available to consumers at £15 a pop. "At the lowest price on the market, the Nintendo 3DS is now available to pre-order online from Asda for the amazing price of £202 – using a £15 off discount code," Asda's PR informs us this week. No doubt we will hear more about similar launch offers from other UK high street retailers and supermarkets such as HMV, Tesco, Morrisons, Sainsbury's and others. TechRadar has contacted all these retailers for further updates on plans for 3DS hardware and games launch offers. For now, If you are in the market for a 3DS this coming Easter, then you might just want to take the plunge and pre-order one from Asda Direct right now for £202. 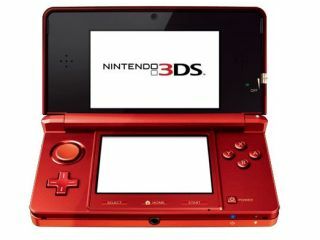 Andrew Thompson, Head of Games at Asda notes: "There has been much anticipation surrounding the launch of the Nintendo 3DS, and it is set to be the must-have consumer device of the year. At Asda we aim to offer our customers the latest consoles and games at the best possible value. "Our 3DS offer will continue this trend. We anticipate the launch of this console being colossal – who wouldn't want to experience 3D gaming and films without cumbersome glasses crushing your nose and cramping your style." Nintendo is still to reveal its full 3DS software line up for 25 March UK release date, so we will be sure to confirm those details as soon as we have them.